Crafted from 14K white gold, this dazzling ring enhancer features twinkling diamonds weighing approximately 0.90 c.t.w. 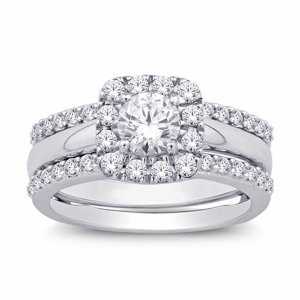 Brighten her finger with this exquisite diamond enhancer Bridal. The Center stone weight is 0.25ct.